Why Buy a 2016 Scion tC? Scion is an automobile manufacturer owned and operated by Toyota. The Scion tC is one of the most distinctive and recognizable vehicles in that company's line of cars. Released into the United States in 2004, Scion took some liberties with the name and made some major changes before announcing plans to completely redo the tC for 2014. The 2016 Scion tC, which is part of this second generation, is commonly used as a type of race car in North America. The 2016 Scion tC might look a little different to some car enthusiasts because the car now accepts its race car background. While the company produces both sedans and hatchbacks, it now offers the tC as a coupe for those who love feeling the wind in their hair and racing by other cars on the road. It comes with a rear windshield wiper, Bluetooth capabilities, and a smart key push button ignition. The base model comes with a manual transmission, but car lovers can spend more for the automatic transmission option. 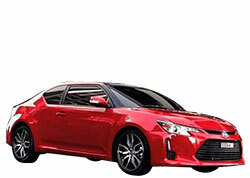 The 2016 Scion tC looks like something that just raced off the film screen, and many reviews point out that it looks like something from The Fast and The Furious film series. Despite its great look, it comes in at a price that many can afford. The manufacturer's suggested retail price is less than $21,000. This new model comes with either a manual or automatic transmission. Though both have a 2.5L 179 horsepower engine, there are some clear differences between the two. Those who prefer going fast and leaving their competition in the dust like the easy handling and shifting of the manual transmission. The Scion Service Boost is a brand new program that the manufacturer now offers on all new cars. It comes with a no cost maintenance plan that helps car owners get tire rotations and other routine maintenance done for free. The program also comes with roadside assistance to help drivers during emergencies. Drivers can now get to where they want to go without searching through their pockets or digging through their purses to find their keys. The 2016 Scion tC now comes with Smart Key technology that has a push button on the dashboard and a sensor inside. That sensor lets drivers push the button to start the car after detecting a key in the vicinity. A touchscreen display located right in the center of the dashboard gives drivers access to all their apps and car's information. This seven-inch monitor comes from Pioneer and uses backlighting to make the display easy to see at anytime of day or night. Drivers can even connect their smartphone or a Bluetooth-enabled device to that display. While the 2016 Scion tC comes in a base model and several other models, car buyers can also build their own model from the ground up. Scion even lets them select the exterior paint color they want. Some colors now available include blue streak metallic, absolutely red and cement. The tC now comes with electronic brake-force distribution, brake assist and an anti-locking braking system. Each of those features starts working when the driver presses down on the brake or when the car determines it needs to stop. Smart Stop Technology keeps the car from coming to a sudden or abrupt stop too. Those who want to make a statement might love the limited edition tC called the 9.0 series. This model has an MSRP of around $25,000, but it comes with an automatic transmission and a custom paint job. Scion made just 2,000 of this model. Drivers can feel safe and confident in the tC because of its vehicle stability control (VSC) and its Traction Control. Traction control sensors keep a watchful eye on the wheels and alert the braking system when the wheels begin spinning on slick roads. The VSC system will also kick in to prevent slips. While the 2016 Scion tC is a smaller coupe, it packs a lot of storage in its small size. The trunk has nearly 15 cubic feet of space, and it has pockets on both doors for additional storage. There is also a central arm rest that lifts up to reveal more storage. Though the 2016 Scion tC has a design that makes it look like a powerful and fast sports car, not all reviewers were impressed with its performance. Some found that it didn't move fast enough on hills, and others claimed that it handled poorly on turns and curves. It seems better suited for the city than the country too. A good suspension reduces the movements and motions that drivers and passengers feel inside vehicles. Those who test drove the new tC found that it had a poorly reacting suspension. It left some feeling jarred and others feeling uncomfortable on longer drives. Recent safety ratings gave the tC an acceptable rating regarding front crashes that involved some overlap. It received good ratings for all other types of crashes, including side collisions or rear accidents. 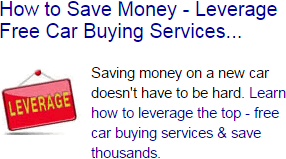 Shoppers may want to look for a car that scored higher in those ratings. The Ford Focus and the Kia Forte are among the cars most similar to the 2016 Scion tC. The tC has more horsepower, larger wheels, and a touchscreen display, which the Forte does not. It also comes with a moon or sun roof, bigger wheels and more horsepower than the Focus. Though the 2016 Scion tC gets mixed reviews from professional reviewers, it performs better and comes with more features than shoppers will find on comparable models from Ford and Kia. The Scion tC is a solid little car.